The two seat Zenith models are designed to provide attractive performance using efficient and lightweight new-generation aircraft engines, like the UL Power and Jabiru 3300, while also being suitable for traditional but heavier aircraft engines such as the Continental O-200 and Lycoming O-233 / 235. While all aircraft are designed within certain power and engine weight guidelines, Chris Heintz did not design his aircraft “around” a particular engine – to maximize the customer’s choice of installed powerplant. Recommended power is 100 to 125 horsepower, up to 300 lbs. installed weight. The following engines have been installed and tested in the Zenith CH 650 prototypes at the factory: UL Power, Continental O-200, Jabiru 3300, Lycoming O-235, Rotax 912S, and Viking Engines. The standard airframe kit is supplied “firewall-back.” Most builders do not know which engine they will install when they start construction of their kit so the engine mount and engine cowl are not supplied with the basic kit. Furthermore, the engine does not need to be installed until after the basic airframe has been constructed. The Rotax 912 series engines is an excellent choice as the standard powerplant for our planes. The new 912 UL S is a 100 HP* version of the certified 81 HP 912 engine, with the same external dimensions as the standard Rotax 912. The Rotax 914 is a turbocharged version of the Rotax 912 engine, and the new Rotax 912iS engine is the latest engine from Rotax, with fuel injection and an engine management system (ie. FADEC control). Based on the proven concept of the Rotax 912 S/ ULS engine the new 912 iS engine offers all well known advantages of the Rotax 4-stroke engine series complemented by additional features, e.g. engine management system. The complete package presents the latest technology in the aircraft engine industry and will enhance the flying and ownership experience of pilots. Zenith Aircraft Company supplies complete firewall-forward packages for the Rotax 912S powerplant installation, including the engine, engine mount, fiberglass engine cowl, exhaust system, liquid cooling system, electrical system, propeller, all all other accessories (available only to builders of Zenith Aircraft kits). Zenith Aircraft Company supplies the Rotax 912 ULS engine with the Rotax slipper clutch option installed, for smoother engine operation. Kodiak Research Ltd. – North American Distributor. 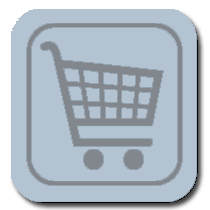 Visit this site for the latest info from Rotax. Rotax Owners Association News – Service information for Rotax engines. UL Power is a modern new line of light aircraft engines from Europe featuring four cylinders (direct drive, air-cooled) with FADEC, and presents unique sought-after features, making UL Power an excellent light aircraft engine choice. The complete firewall-forward packages, developed and supported jointly by Zenith Aircraft Company and UL Power North America LLC, include everything you need to install the engine in your aircraft. The complete firewall-forward package is available directly through Zenith Aircraft Company, and can be shipped with the airframe kit or at a later date. Contact Zenith Aircraft Company directly for the latest pricing and availability information. Since the UL Power engine is imported from Europe engine prices fluctuate on a regular basis due to currency exchange. Teledyne Continental MotorsContinental has been producing aircraft engines for since the 1930s. The company originally built the A40 engine, a 38-hp 4 cylinder horizontally-opposed air-cooled engine used in the Piper Cub. The original engine evolved into various models over the years, including the A65, A75, C75, C85 and C90, and finally evolved into the O-200 engine used in the popular Cessna 150. Over the years, thousands of small Continentals have been produced (Continental was producing more than 10,000 engines per year in the late seventies). Today, the O-200 engine is still available factory-new from Continental, and used ones are available from many sources. Mattituck (Teledyne Mattituck Services) is a subsidiary of Teledyne Continental Motors, the same company that manufactures Continental engines. Mattituck manufactures the 100-hp TMX-0-200-A engine assembled using all new Continental parts. The TMX (or “experimental”) series engines are brand new zero time engines. The TMX engines are outright sales, no core exchange or trade in is required. The TMX-O-200 engine is not FAA certified, which is why it is sold for significantly less than a comparable FAA-certified Continental O-200 engine. All parts used on the engine, with the possible exception of some accessories, are fully FAA certified components but the engine as a complete unit is not certified. The 100-hp TMX-0-200-A engine is supplied with a 1,800 hr. TBO, and installs just like the Continental O-200 engine. Bore: 4 – 1/16" 3 – 7/8" 3 – 7/8" 4 – 1/16"
Piston Stroke: 3 – 7/8" 3 – 5/8" 3 – 5/8" 3 – 7/8"
Whether you buy a factory-new, remanufactured or overhauled engine, Lycoming engines provide a history of performance and reliability, with worldwide parts and warranty support from Textron Lycoming. The four cylinder, direct-drive, air-cooled engine offers a 2,400 hour TBO. The JABIRU brand of very light engines was specifically designed by aircraft designers for aircraft applications. They are manufactured to exacting aeronautical production quality standards from high quality billet materials. Components are machined using the very latest computer numerical controlled (CNC) machine tools. All components are measured on highly accurate computerized measuring equipment with accuracy to 2 microns. Jabiru engines have been produced in Australia since 1992, with more than 6,000 in operation around the world and many in the demanding flight school environment. They incorporate simple design features, which together with realistic part prices and high times between overhaul, support low maintenance costs. Jabiru engines are currently available in two models: the 85-horsepower, 4-cylinder 2200 and the 120-horsepower, 6-cylinder 3300. 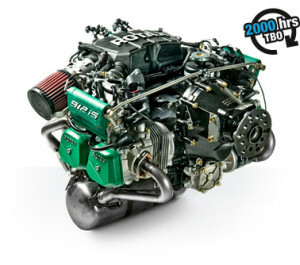 Engine TBO: The engine has a published TBO of 2,000 hours. The case & internal parts are machined from solid steel bar or aluminum billet. The oil sump is only cast part. Ignition: Dual separate magnetos with redundant distributors & plugs. No points! No battery power required for operation. 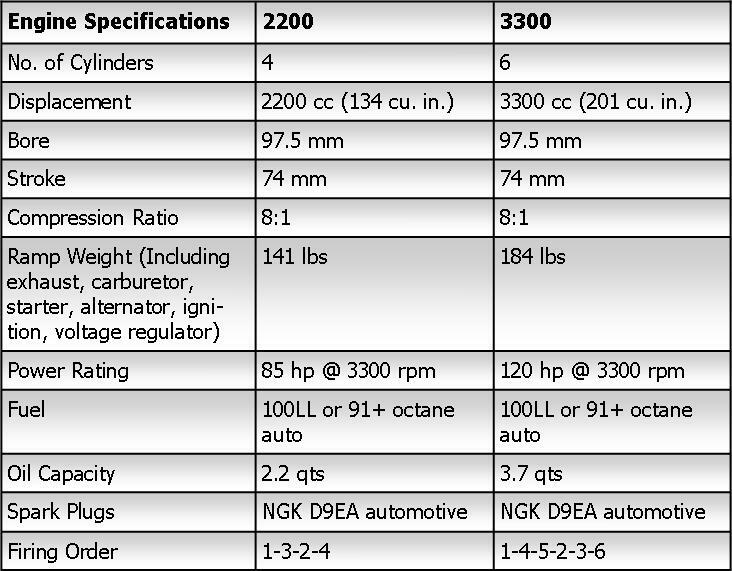 Spark plugs are NGK and commonly available. All engines include: Starter, Exhaust System, Alternator, Regulator, Starter Solenoid, Cooling Ducts, Prop Guides, Oil Cooler Kit, Engine mount Bushings and mounting hardware. Warranty: One year from delivery. Delayed warranty start available on request . The complete firewall-forward packages, developed and supported by Jabiru USA, include everything you need to install the engine in your aircraft. The complete firewall-forward package is available directly through Zenith Aircraft Company, and can be shipped with the airframe kit or at a later date. Since the introduction of the ZODIAC XL model, there has been growing interest in the Corvair engine installation, and we feel privileged that William Wynne has decided to build his own Zodiac as a test-bed for the Corvair installation in the aircraft. The Corvair engine is a 164 cubic inch (2,700cc), horizontally-opposed, six-cylinder, air-cooled powerplant. GM produced 1.7 million Corvair automobiles between 1960 and 1969. 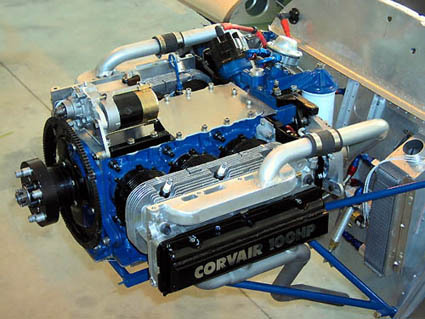 Corvair engines have been powering experimental aircraft since 1960. 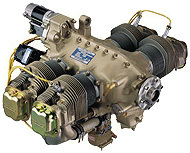 Visit the website for complete details about the Corvair engine and installation in the Zodiac XL: www.flycorvair.com. Light-Sport Aircraft (LSA) and Sport Pilot: While each of the Zenith Aircraft were developed to meet the definition of a light-sport aircraft, as defined in the FAA’s Sport Pilot category, Zenith Aircraft Company cannot guarantee that the aircraft, as constructed by the builder, will meet the definition. Due to the gross weight and stall speed limitations of the Sport Pilot / Light-Sport Aircraft category, it is recommended that the aircraft be kept as light as possible if planning to operate the aircraft in this category. Larger and heavier engines, such as the Lycoming, and other installed equipment limit the useful load of the aircraft, and may disqualify the aircraft from meeting the defined category limits of the Light Sport Aircraft category. Most custom engine installations require a lot of work and “troubleshooting” to properly install, and may often not provide the expected performance and reliability. An inexpensive engine may cost you less to purchase initially, but may not provide the proven reliability and performance you expect, and may need to be replaced a lot sooner than expected. Zenith Aircraft Co. stocks engine mounts and accessories for some other engine types but does not provide support for such installations. The engine mount and fiberglass cowls supplied by Zenith were developed to fit standard configurations for a specified engine and may not be suitable, as supplied, for all configurations and/or models of a given engine type with accessories. To best serve customers’ needs, Zenith Aircraft Company stocks engine mounts and accessories for various engine models and types but does not provide support for such installations. The engine mount and fiberglass cowls supplied by Zenith were developed to fit standard configurations for a specified engine and may not be suitable, as supplied, for all configurations and/or models of a given engine type with accessories For example, there are many different configurations / models of used Lycoming and Continental engines, each with its own accessories, some of which may not be suitable for installation.